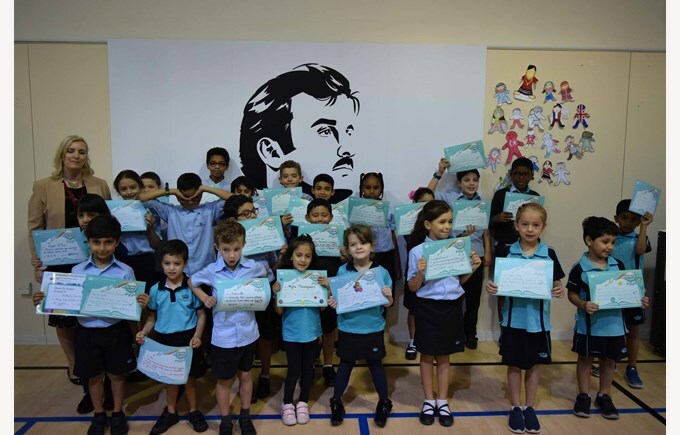 On Tuesday, Rayyan campus hosted the Qatar Private Primary Schools Sports Association (QPPSSA) Basketball Competition. 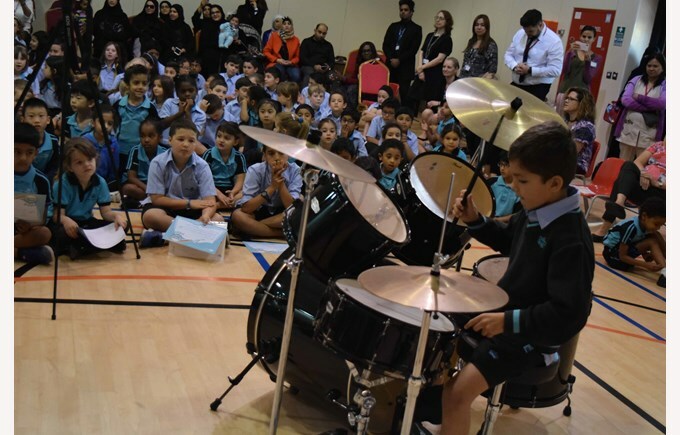 We welcomed many international schools from around Qatar and hosted 18 teams in total. 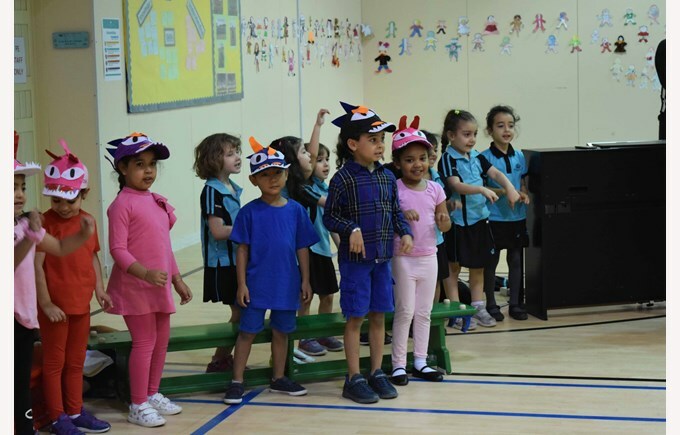 It was a closely fought competition and great experience for our students and parents who stayed to watch. We look forward to hosting more competitions in the future. You can see photographs of the competition on Facebook. Our Milepost 1 Leader, Mark Stephenson led a very informative presentation on ‘Attitudes to learning’ which included research based learning about growth and fixed mindset. 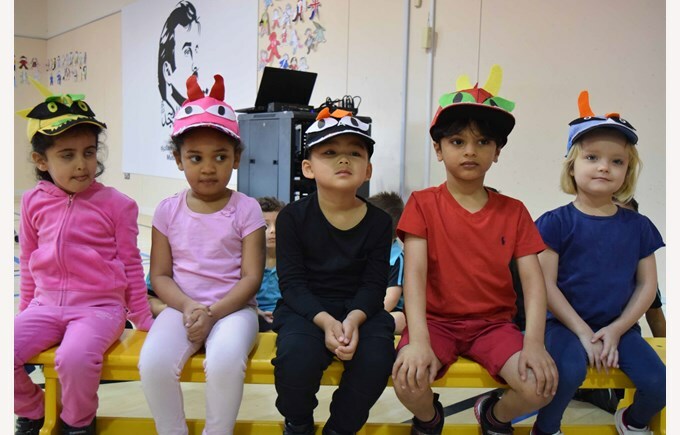 Parents heard examples of how thinking positively about learning can have an impact on how much progress you make and how you can help to instil positive attitudes at home. Mr Stephenson has shared the presentation on Class Dojo for reference if you were unable to attend. Further information on this concept is available on Dr Carol Dweck’s website and here. 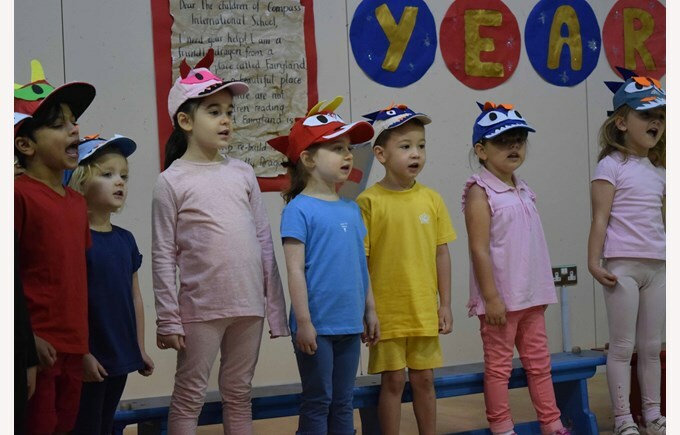 Our next Parent Seminar is on Thursday 21st where our Early Years Leader, Mrs McKelvie, will lead a session on Early Years learning and phonics acquisition at 7.30am in the EY Classroom. 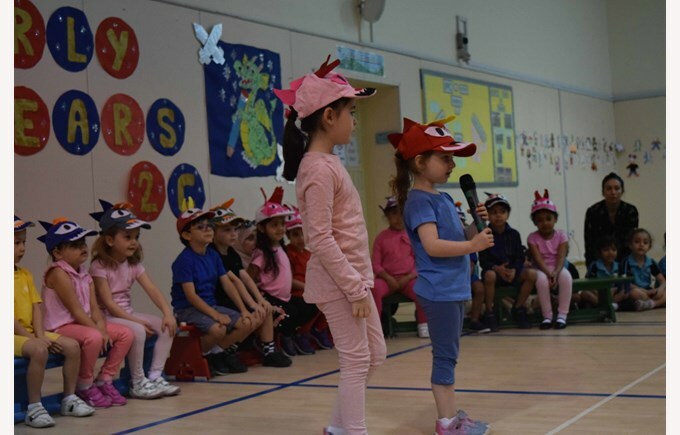 Early Year 2C led a very entertaining assembly about dragons. They told us about features of dragons and different types of dragon such as the Komodo dragon and even dragonflies! 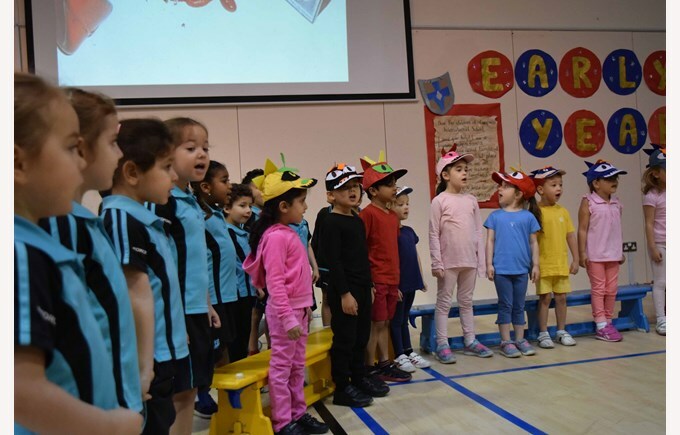 Some of their inspiration came from our very own Chinese Dragon which lives in Mr Akhtar’s class and was featured in Year 5A’s International Week presentation. 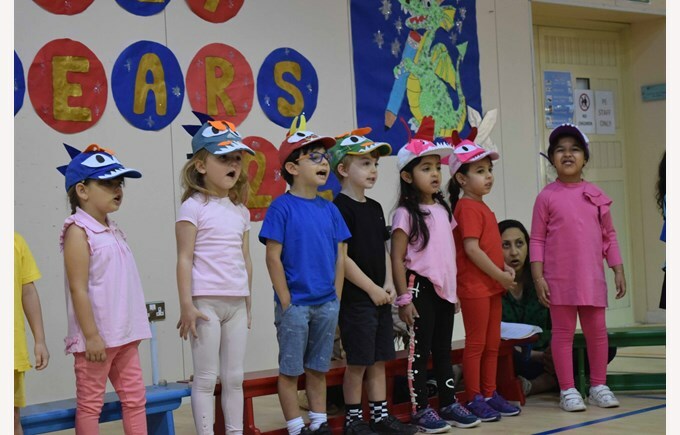 The children sang and performed beautifully and had the whole school join in when they sang ‘Puff the Magic Dragon’. 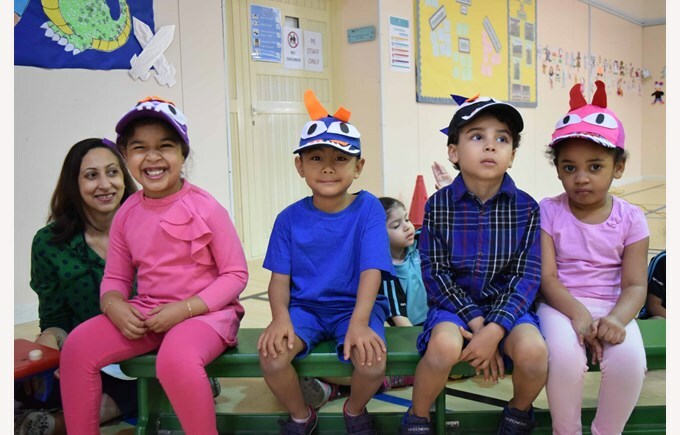 Certificates were given out for International Mindedness, which is a key learning outcome of the IPC, and teaches children to respect the cultures and traditions of everyone in school. 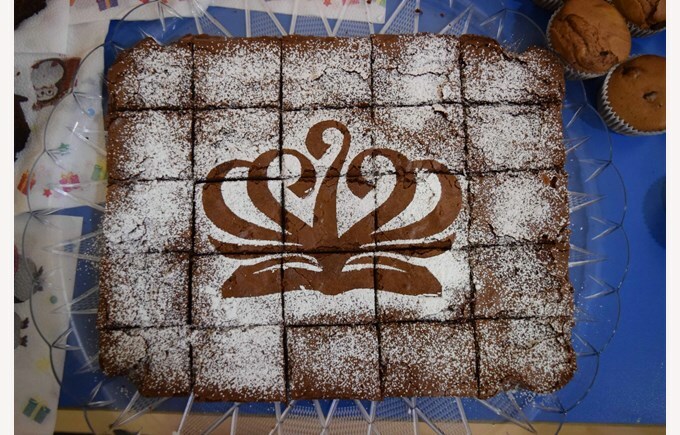 FCS had a busy week organising both the Chocolate Bake Sale and the Family Day. 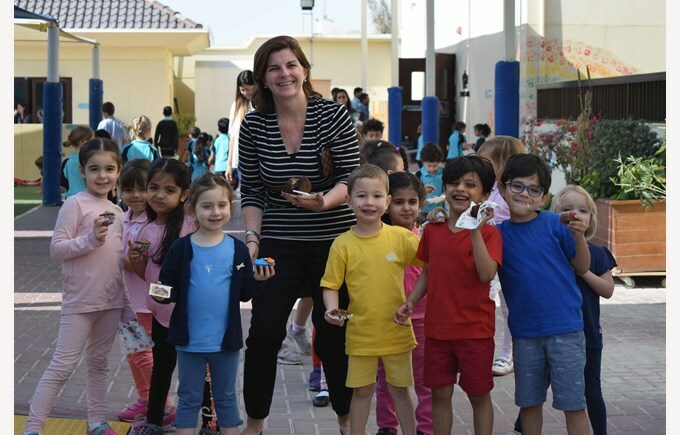 The Bake Sale was a great success with many delicious chocolate cakes and truffles on sale. The aroma completely filled the sports hall and made everyone hungry. 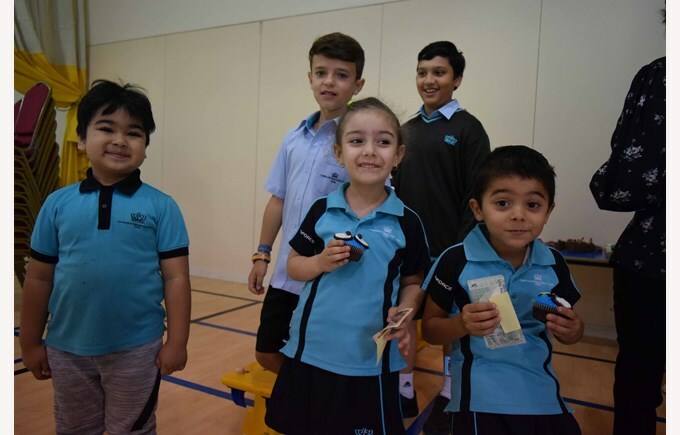 Thank you to the parents who contributed cakes and goodies to make this a success; to our FCS members who stayed all day to assist and to our Year 3 students who helped to sell the cakes. 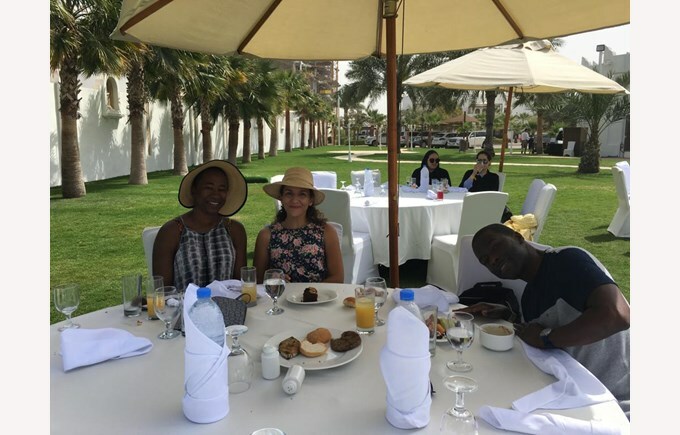 The FCS Family Beach and Barbecue Day was a resounding success with 110 parents and children in attendance. They enjoyed a fun filled morning of activities, swam with their friends and enjoyed time at the beach. Parents even got to relax as their children were so occupied. The lunch was excellent and thoroughly enjoyed by all, especially the sorbet and ice cream. 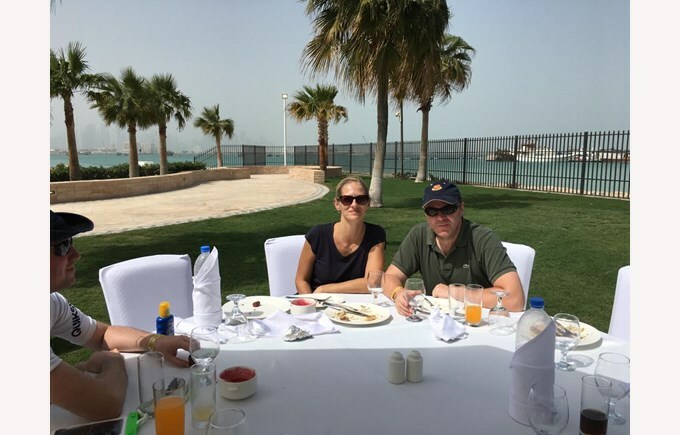 Thank you to FCS for organising the event and to the team at the Al Sharq Village for making us so welcome. Please see some photos of the event on Facebook. On Saturday, 35 of our ambitious bilingual learners sat the DELF Prim examination to test their level of French. Some of them are very young but they want to see how much progress they have made in French and test their knowledge. Well done to all who took part. We look forward to hearing more details about the test in due course. 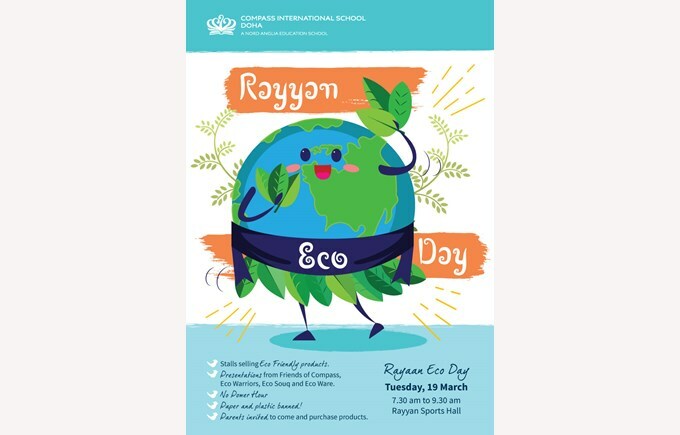 This week we have Eco Day on Tuesday, with an Eco Fair taking place in the morning. Please see details of the activities on Class Dojo-we hope you can join us and support the no paper, no plastic initiative, unless it is recycled. Personally I am looking forward to no power hour when I can close my laptop and visit classes!